Spring cleaning was on our agenda this last week. I must have had a period of nesting because I was all about it. Don’t get excited though, that phase has since disappeared, partly due to the three Easter feasts we had this weekend, delicious but blugh. And now I feel like I can barely keep my eyes open past 8:00 pm. Not that it is much earlier than my usual bedtime of 9:00 at the latest 9:30. Lame I know but I like my sleep. Anyways, this little (well it was actually quite large in size) smoothie kept me going through multiple days of cleaning, sorting, throwing and yes more cleaning. It was quite, easy, refreshing and yet full of nutrients, flavor and protein. Everything I needed to provide important energy. It seems like everyone has their own take on smoothies. I don’t think I’ve ever made the same smoothie twice, but then again I like variety and truthfully always forget to write down the ingredients to my favorites. But the basics of the smoothie, the foundation shall we call it are always the same. Fruit: the possibilities are endless. I use frozen so I don’t have to add ice and mix the fruit variety each time. Liquid (this is important in the blending process): coconut milk, water, green tea, almond milk, etc. You usually can’t go wrong with your combinations. I mean I have had some smoothies that were hard to swallow (literally) but for the most part it is a good way to clean up any extra ripe fruit and/or veggies laying around. If your not on board with adding the leafy greens I promise you, you CAN NOT taste them. If you are still weary try adding a half an apple, this really masks the flavor of the greens. 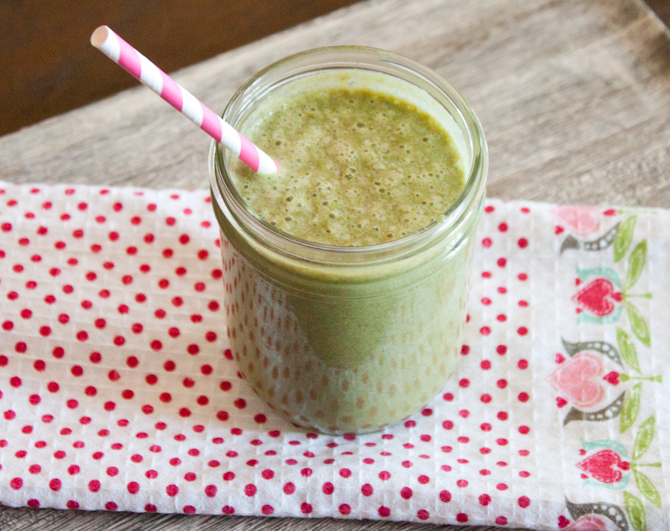 Smoothies are an excellent way to add an extra dose of veggies to your diet. If you can’t stand the nasty color it turns sometimes just put it in a dark colored glass. They taste much better than they look. Now there are two things I want to note when it comes to smoothies. Smoothies are better than juicing. When you juice you lose a lot of the important nutrients that are pulled out with the pulp and fibers of the fruit. These do serve an important function in the body, especially when looking at satiety. There is nothing wrong with juicing, just know that you are missing out on some of the essentials vitamins that are in the left behind pulp. It is more satisfying to chew your food than drink it. It is also much easier to overeat fruit when in a smoothie than actually chewing it. Just be careful not to go overboard with smoothies. If I have a smoothie I also try to pair it with something I can chew. ALWAYS make sure you add that protein and healthy fat! Place all ingredients in a powerful blender. What are your favorite smoothie recipes? Let me know in the comments below!